This is an all-resin kit from Zarkus models (which is now no longer in production). 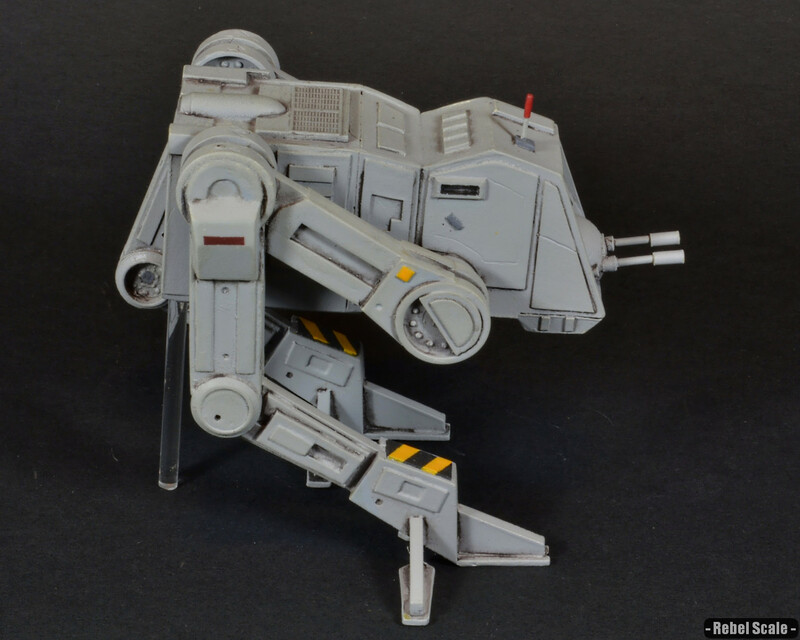 It was a very well-made model with several leg sections that allowing an infinite number of poses. After gluing everything in place (remember that resin requires superglue), I found that it kept falling backward. After all, the entire thing was solid resin. So, I added a clear rod for support. 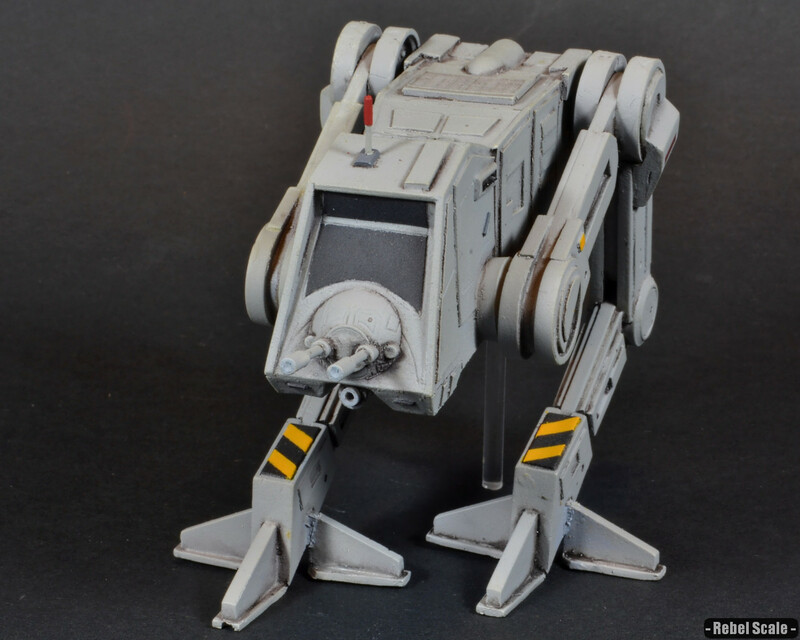 It came out to be a nice side-piece to my AT-ST, but it’s way too big to be in scale with the AF figures. I painted it a light grey and added highlights with masking tape and my airbrush. 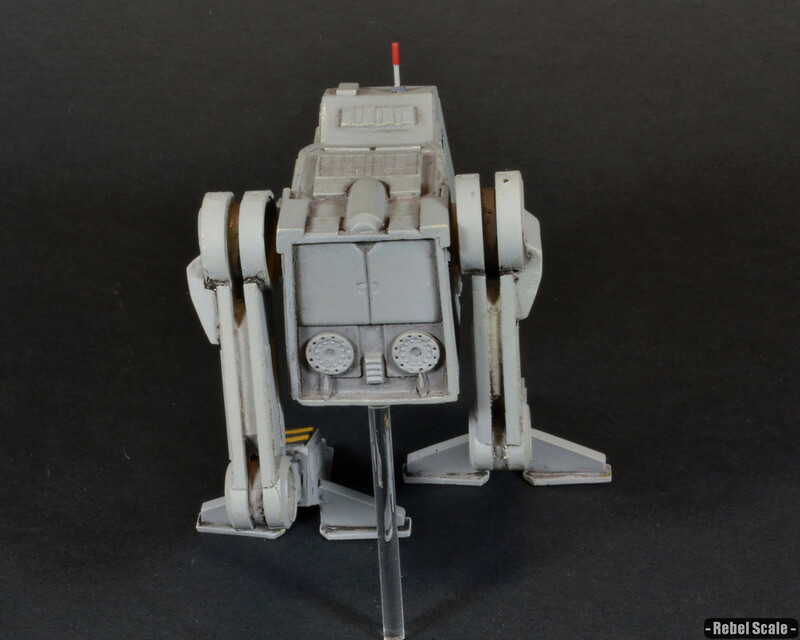 The AT-PT was a single-trooper policing unit that existed well before the Clone Wars. 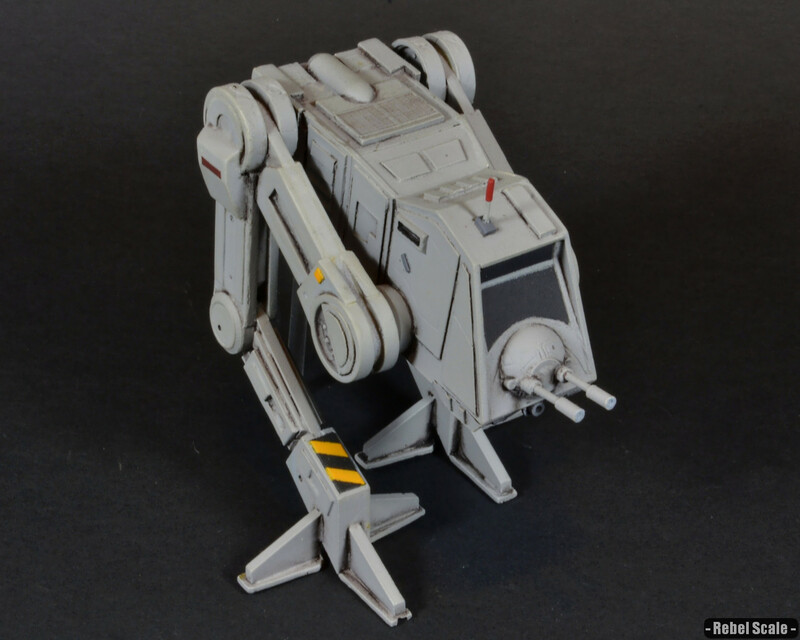 While many resources establish it as a Republic vehicle, it was a common infantry vehicle in militaries across the galaxy. The AT-PT was only 3 m tall and could only fit one soldier inside; nevertheless, it was fast, cheap, and decently armed for a vehicle of its size. 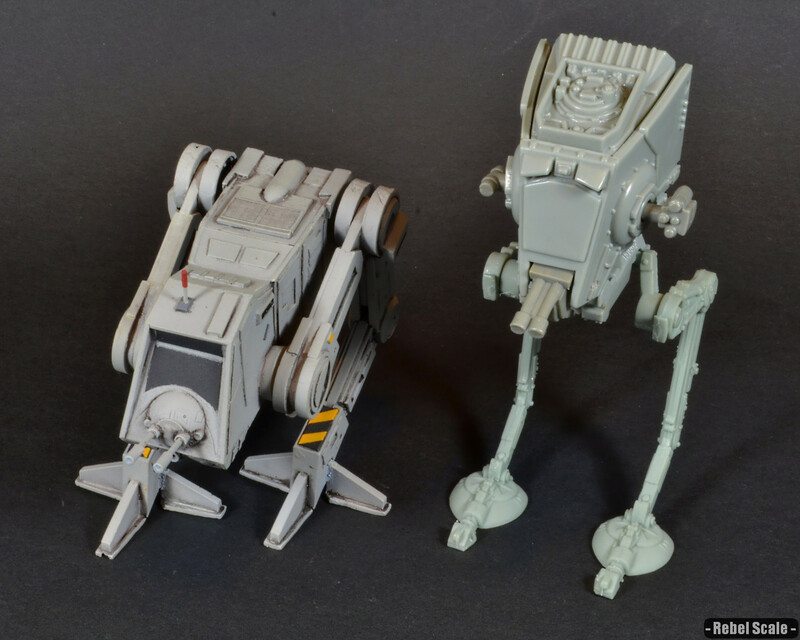 When the Clone Wars escalated, most of these vehicles were junked as outdated models and replaced with more advanced walkers. This caused many of them to fall into the hands of private militias and gangs, who used them to incite their own rebellions.